(Photo: REUTERS / Mussa Qawasma)An Israeli army soldier shoots tear gas at Palestinian stone throwers near the house of Palestinian woman Amal Taqatqa, south of the West Bank city Bethlehem December 1, 2014. Amal Taqatqa stabbed an Israeli in the occupied West Bank on Monday and was then shot and wounded by security forces, the military and police said. Violence in Israel and the Palestinian territories has risen in the past months. Attacks carried out by Palestinians have killed 11 Israelis. 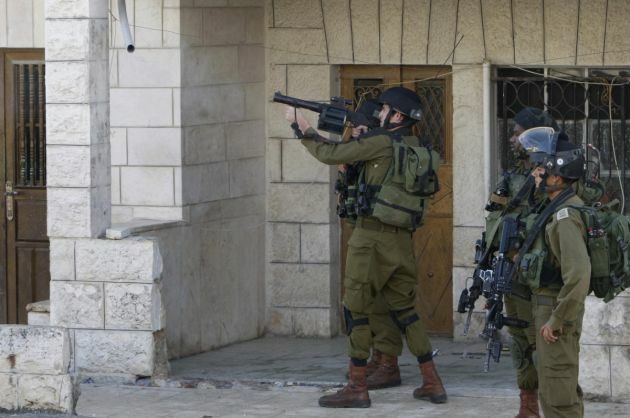 Twelve Palestinians have been killed, including several of the assailants. World Council of Churches general secretary Rev. Olav Fykse Tveit has joined Pope Francis and the U.N. Secretary-General expressing deep concern over renewed violence in Jerusalem as Ban Ki-moon made his way to Israel to ty to find ways of defusing tensions. The U.N.'s Ban was was heading for Israel Oct. 20 for in a diplomatic bid to address ongoing violence that has rocked the country for over a month, a U.N. spokesman said in Geneva. During his visit Ban was to meet with israeli Prime Minister Benjamin Netanyahu as well as Palestinian Authority President Mahmoud Abbas. Speaking after Sunday Mass the Pope had appealed once again for peace in the Holy Land. "I am following with great concern the situation of high tension and violence that afflicts the Holy Land," he said. Over the past month, nine Israelis have been killed in Palestinian attacks, most of them stabbings. In the same period, 41 Palestinians have been killed by Israeli fire, including 20 whom Israel labeled as attackers, and the rest in clashes with Israeli troops. In the latest violence an Eritrean man died after being shot and beaten by a mob that was reported to have mistakenly believed he was a Palestinian attacker. "In this moment there is need of great courage and great strength of soul in order to say 'No' to hatred and vengeance, and to carry out acts of peace." Pope Francis prayed that God might strengthen both political leaders and people, that they might have the courage to oppose violence and to take concrete steps aimed at decreasing tensions. The WCC sent a letter its churches in Palestine and Israel on Oct. 19 in which the general secretary affirmed the council's commitment to justice and peace in Palestine and Israel. "We are following with increasing dismay events throughout the region and especially in the Holy City of Jerusalem, which we hold in our hearts and prayers as an open city of two peoples (Israelis and Palestinians) and three faiths (Judaism, Christianity and Islam)," wrote Tveit. "We continue to work and pray for a just peace for both Palestinians and Israelis, promoting respect for the status quo of the holy sites of Jerusalem as an important contribution to reducing current tensions." Tveit noted that "as Christians, we must all seek an end to violence against any of God's children, just as we seek an end to occupation and the injustices that present such formidable obstacles to peace in Israel and Palestine." He noted that violent attacks are unacceptable and counter-productive in seeking justice. "Proportional security measures and the rule of law are the appropriate instruments for responding to such attacks, not extra-judicial killings," he added. "The WCC stands firmly with Christians in the Holy Land in our conviction that the illegal occupation of the Palestinian Territories must be brought to an end. Tveit said it is, "not as a pre-condition for an end to violence, but as an essential foundation for any long-term, sustainable and just peace in the region." Ban issued an overnight video message in which he said, "Today, I would like to speak directly to the peoples of Israel and Palestine about the dangerous escalation in violence across the occupied Palestinian Territory and Israel, especially in Jerusalem. "I am dismayed - as we all should be - when I see young people, children, picking up weapons and seeking to kill. "Let me be clear: violence will only undermine the legitimate Palestinian aspirations for statehood and the longing of Israelis for security," said Ban. "To the youth of Palestine I say: I understand your frustration. I know your hopes for peace have been dashed countless times. "You are angry at the continued occupation and expansion of settlements. Many of you are disappointed in your leaders and in us, the international community, because of our inability to end this occupation." And to the leaders of Palestine I say: Harness the energy of your people in a peaceful way to make their dreams and aspirations a reality. You have the right to live a decent life in dignity, respect and freedom."